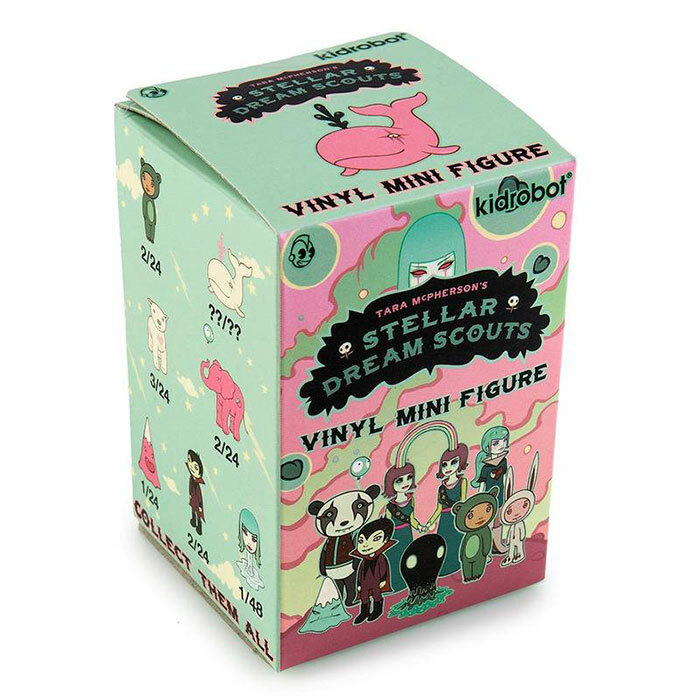 Deep in the cosmos in an alternate dimension of our very universe live our friends the Stellar Dream Scouts, wandering in and out of the Waking World and the Dreamwell searching for lost sleepers. Many of the creatures in this dimension are mischievous… sometimes offering a helping hand, and sometimes playing tricks! The Stellar Dream Scouts navigate the vast realms of the unconscious searching for Dreamkin to rescue, but beware of the nightmare Namaka, ruler of the Lucid Seas! Test your intuition with the water demon Umi! Keep your eyes peeled for the friendly space whale Cosmo who rides the sparkling interstellar oceans. Which side of the Mystery Mountain should they climb? – One side will help them ascend, and one side will eat them up into the Crystal Caves! 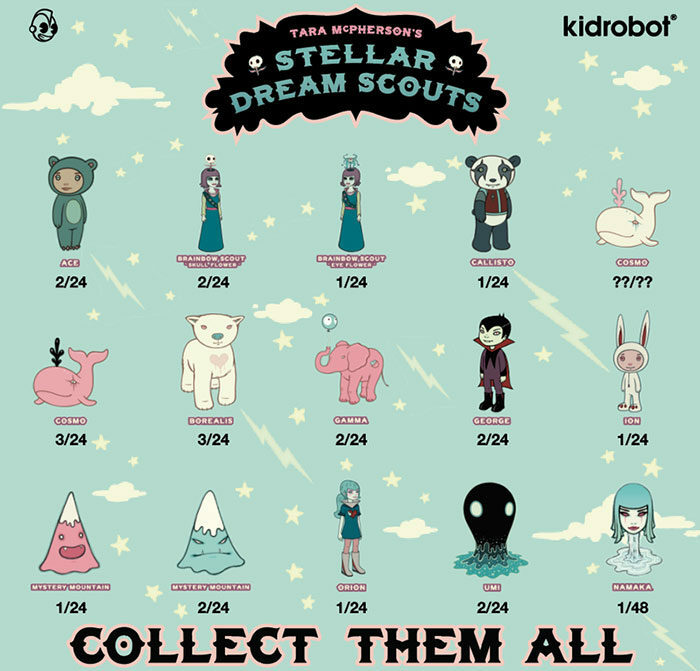 Join in the adventure with all of the Stellar Dream Scouts on your side! 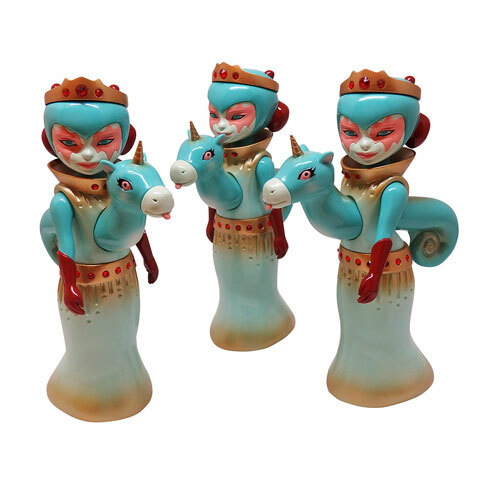 This high quality vinyl mini figure series is brought to life by Kidrobot from the imagination of New York artist Tara McPherson.